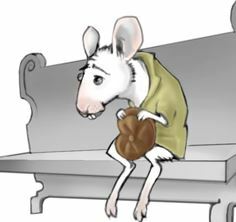 To be as poor as a church mouse is an idiom which means you have no money, in other words, you are extremely poor. For example, as a result of the economic crisis a lot of families are as poor as church mice. Posted on Sep 7, 2015 Aug 30, 2015 by Inglés MálagaPosted in VocabularyTagged animal, idiom, money. Next Next post: Cambridge English Exams Málaga: Yes I can; yes I can; yes I can! Or, can I? Hi Janette, take a look to the next website http://www.tusclasesparticulares.com/ . Someone told me about it and I thought it could be interesting for you. I follow your funny and useful posts.